As the cost of living continues to increase year after year, you probably would have spent some time pondering about your financial security. You probably would have heard stories of or personally experienced a company downsizing, a pay cut, the loss of your job, mounting expenses, or just a sudden realization that the world isn’t such a stable place. No matter when you discover this truth, it is critical that you come to terms with it. Only by knowing the truth can you deal with the reality of financial troubles ahead. Last year was marked by uncertainty, and it probably is just the tip of the iceberg of what can happen going forward. For most people, wages will never be enough to sustain their lifestyle at retirement. These money issues are real. However, before we go into the solutions, we have to understand where these problems come from. A low interest rate environment means that you need to go beyond your bank deposits to preserve your wealth. However, despite having more mobile phones than people in Singapore, we are painfully ignorant in financial matters. We are educated, but not wise; we are connected with each other, but disconnected with reality. Truth be told, most people have no idea how to even match up to the bank interest rate, much less beat the bank interest rate. The average level of financial literacy in Singapore is still shockingly low. To be a decent investor, it would be necessary to at least understand basic financial instruments, financial asset classes, methods of speculation/investment, and simple risk management. Financial literacy is the first step to fighting inflation. You don’t necessarily need to know exotic strategies like statistical arbitrage, premium collection on SPY options, futures pairs trading, spread betting, or betting on changes in the yield curve. But a basic understanding of market cycles and trading principles will make a large difference in one’s investment results. In years of economic boom, Singapore tends to experience inflation of 4-5%. The CPF ordinary account grows at 2.5%, which means your money’s losing value when the economy grows. Counting on CPF alone may help you get by, but would it really sustain the lifestyle you desire? Even if the inflation rate falls to 1-2% a year, very few Singaporeans can say they are able to retire comfortably. It is more prudent to have something besides CPF to fall back on. However, these strategies will probably only help in wealth preservation, not wealth creation. For wealth creation, you need far more investment sophistication and dedication. A world of zero inflation is good for the average consumer (he thinks he won’t be paying more for his food/car/house/petrol), but it’s bad for wages. 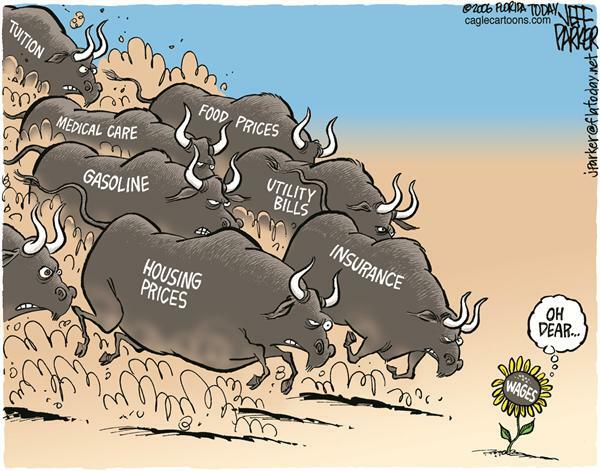 Truth be told, when inflation suffers, it is normally a terrible situation for the economy to be in. Remember the productivity drive a few years ago? The government aimed for 2% productivity growth every year, because inflation was terribly low and the country had to do something about it. Inflation has fallen and fallen, and has even turned negative in 2015 and part of 2016. Stagnating or falling wages can become the norm. With wages in peril, it is even more essential to generate additional streams of income, or risk falling into financial destitution. If you have children, the best thing you can do is to advise them regarding these trends. Don’t be so concerned about their math scores, science scores, or whatever score; look to give them training in these skills, and to explore their interests in these areas. This is good news for existing property owners, but bad news for new property buyers. Singapore will continue attracting rich foreign buyers because that’s our value proposition as a nation. This problem keeps worsening as long as our property is affordable to wealthy investors from overseas. The government is likely to step in if property prices start falling. The issue with high property prices is that most people end up taking 20 to 30-year loans and live with debt for most of their adult life. This keeps the economy stagnant and unable to experience growth like we’ve seen in the 1980s and 1990. A debt-ridden adult is much less likely to splurge. With an entire generation of people living with huge mortgage loans, we won’t see fantastic growth in a very long time. Take note: it’s not the government’s fault; blame it on falling birth rates. With a smaller workforce, tax revenues will fall and Singapore will be less able to provide for its elderly. Singapore will age, and more and more sick people will depend on a smaller proportion of working adults in this country. It’s inevitable that the government cannot support the large number of elderly who will reside in our hospitals and hospices. It’s the same ‘graying’ problem that Japan is facing. Falling government support, along with higher demand for doctors and strained infrastructure will cause medical bills to rise. Sure, it’ll be great for healthcare stocks, but healthcare spending on the elderly is not expansionary. Basic health economics would differentiate between healthcare spending that improves economic well-being (vaccinations on children, basic sanitation etc. ), and healthcare spending that does not improve economic well-being. We’ll be seeing a lot of spending that does little to boost the economy. The fact that you’re reading this shows that you are concerned for your financial future. Keep learning, reading, and exploring ways to combat this reality. After all, people perish for the lack of knowledge, not the lack of determination. Acquiring the right investment skills, financial management practices, and general knowledge will help protect you and your family from financial destitution. My greatest hope is that you, the reader, would be motivated to start educating yourself financially, and to get your hands dirty in the investment world. Invited to Speak at the SMART Investment & International Property Expo – See You There! This coming Saturday (25th March 2017) at 12pm, I have been invited as one of the guest speakers to speak at the SMART Investment & International Property Expo, where I will be sharing my “15 Minute Trading Strategies” which I used to achieve financial freedom at 27 while travelling around the world (50+ countries). Last year, I also completed the RES (real estate salesperson) course for my own interest, and I have recently been looking around for some personal property investments. Hence, I will also be talking a bit about the property climate amidst the rate hikes (including property counters and REITs), and how I structured my portfolio to optimise trading and investments. Find out about SMART Expo, and click here to register for FREE! Whether you’re a seasoned property buyer, someone who’s looking to make an investment, or just curious about the market, the SMART Expo is one to look forward to. This is the place to go if you are looking for professional advice, sourcing for global investment experts or hoping to take advantage of guarantee yields from “buy-to-lets”. SMART Expo is free to attend and will be held on 25 and 26 March, at Hall 405 of Suntec Singapore Convention & Exhibition Centre. SMART Expos is one of Asia’s most established property and investment expos, with over 45 show track record in Singapore, Hong Kong, Malaysia and China. This year, you will receive first-hand information and direct overseas property developers’ prices. You’ll also be privy to luxury properties from some of the best current investment. There will also be more than 20 educational seminars held over the two days, featuring speakers such as Fengshui consultant Adelina Pang, investor/trainer/mentor/author Jochen Siepmann and executive director of PropNex Kelvin Fong. There’s an eclectic mix of seminars, with topics including ‘Hydroponics and the link to food security’, ’5 Disruptive trends that are changing the Singapore industry’, ‘Property investment opportunities and risks in Asian emerging markets’ and ‘Weighing your options for financing overseas property investments’. https://i0.wp.com/synapsetrading.com/wp-content/uploads/2017/03/SMART-Expo.jpg?fit=1100%2C800 800 1100 Spencer Li http://synapsetrading.com/wp-content/uploads/2014/03/logo-header1.png Spencer Li2017-03-21 02:52:492018-09-05 02:49:28Invited to Speak at the SMART Investment & International Property Expo - See You There! Wealth has little to do with your age. Instead, maturity is the key factor in living successfully and accumulating wealth. I’ve seen 40-somethings and 50-somethings behave like school children, and 20-somethings with nothing in their pockets but with an attitude that would put accomplished men to shame. The latter are the superstars of tomorrow. But what is the defining difference between these 2 groups of people? The answer lies in their life principles, and here are 3 essential life principles that are adopted by all the world’s richest and most successful people. FIRSTLY, IT’S NOT WHAT YOU HAVE IN YOUR POCKET, BUT WHAT ATTITUDE YOU HAVE IN YOUR HEAD. Attitude makes the difference. I have met employers, bosses, CEOs over the years and one thing I’ve noticed is that many of them do not mind hiring fresh graduates, as long as they want to learn. Many people come straight out of school expecting a $4,000 salary and posh benefits, but the truth is, these jobs no longer exist. Instead, the business world is a harsh hustle and the reality may shock comfort-seekers and fun-loving teenagers. 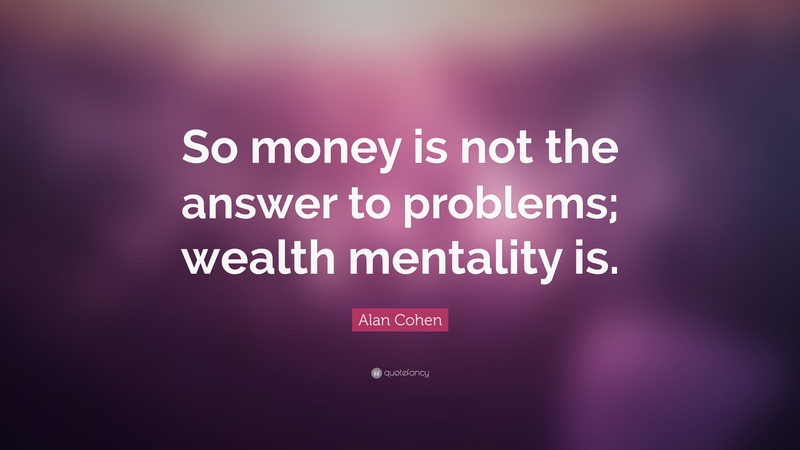 Money is not the solution to your financial difficulties. It’s your mentality towards wealth and life in general. Of course, in capitalism, money speaks. But when you have nothing to your name, it’s your willingness to change and your enthusiasm that attracts the money eventually. If someone is hiring a trader, I want to see at least 5 years of dedicated self-study to the subject, outside of the classroom. I want him to be proficient in all asset classes, conversant with financial jargon, and at least know who Yellen and Largade is. When an aspiring trader tells me that the FOMC rate caused a bull spike and reversal on the yen yesterday despite the announcement being ambiguous, I’m sold. Rich people have raw passion, and I believe every successful entrepreneur would say the same. SECONDLY, LEARN TO SERVE INSTEAD OF BEING SERVED. This is the truth: your boss did something, and had something that got him there. He paid his dues and did what it takes to get to where he deserves. 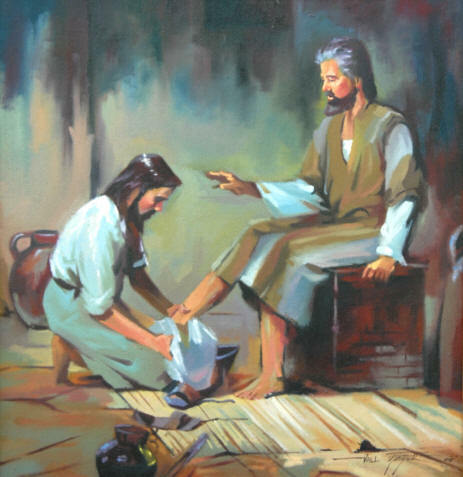 Would you ‘wash someone else’s feet’ in order to learn and get where you want eventually? And learning to serve is a great way to buy into the shoes of high-rolling elites. Many wealthy people are humble, hardworking, honest, eager to learn, and much much more. When they see the same qualities they once had, you’re in. Serve your boss. Look out for what the company you are in wants. Help others around meet performance goals. Learn to work for a vision greater than yourself, and don’t beat yourself up for having low pay initially. When you serve, you grow as a person, you grow in maturity, you expose yourself to different experiences, and you’ll instantly stand out from the crowd. LASTLY, BE FAITHFUL WITH LITTLE, AND YOU’LL BE GIVEN MORE. I’m surprised by how many people I meet, fresh out of university, who have studied Economics, Finance, Corporate Accounting, Complex Derivatives, and many other subjects, but fail to manage their own income and expenses. A person who manages his expenses at the age of 18 is impressive. People don’t look only for great results; the person’s habits will show. I’ve seen youngsters who can pull out spreadsheets detailing their monthly income and expenses for the past 5 years, filed into category, along with savings plans, % completion on their financial goals, and many other cool details. These are the ones that will get ahead. If you can’t manage $1,000 a month, don’t think that things will get better when you have $4,000 a month. If you are faithful with little, you will be faithful with much. Have you ever heard of lottery winners striking it rich, and then lose it all because they were bad financial managers? I ain’t no saint, but Mother Teresa has some great wisdom on this issue. Budget faithfully, keep to your current level of income, and stick to it. But always seek to grow your level of earning power. TRUTH BE TOLD, MANY PEOPLE DON’T LIKE TO DO THE ABOVE 3 POINTS. Sadly, I’ve also met adults in their 40s-50s who have lost hope. When the family comes, the kids come, and the crushing mortgage comes, the cracks will show in their financial discipline. These habits are formed over many years, and the lack of discipline and a humble attitude is to blame. Keep at your inner-game and you’ll be much closer to your financial goals than you imagine.